This afternoon, Universal Orlando shared theme images to the world. The Lifting and Placement of the Hogwarts Express. 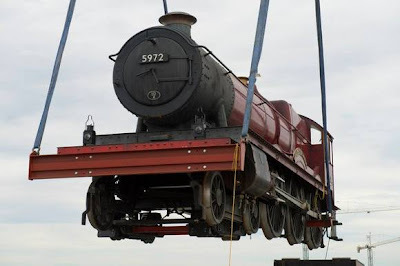 Progress on the expansion of 'Wizarding World of Harry Potter' has made big progress today with the engine and cars of the 'Hogwart's Express' locomotive being placed onto it's raised track. 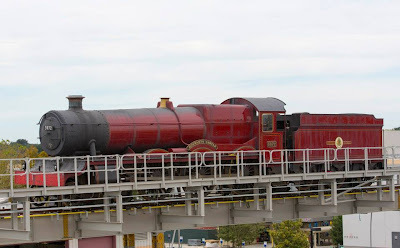 The 'Hogwarts Express' will travel on a raise track between Universal Studios and Diagon Alley to the Islands of Adventure and Hogsmeade area. Still no one is sure exactly how the ticketing for this will work as the 'Harry Potter' areas will now be split between the two parks. 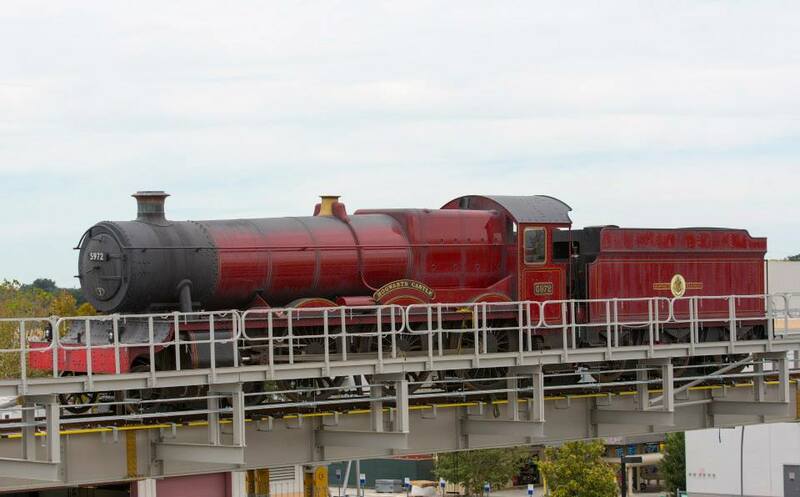 The Wizarding World of Harry Potter- Diagon Alley is scheduled to open in Spring 2014.